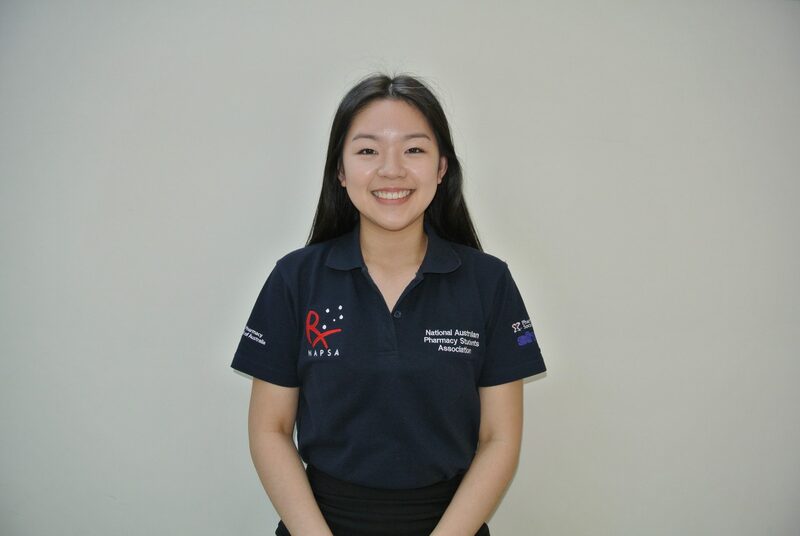 Adelaide student Jessica Hsiao is about halfway through her term as president of the National Australian Pharmacy Students’ Association (NAPSA) after being voted into the role in July last year. 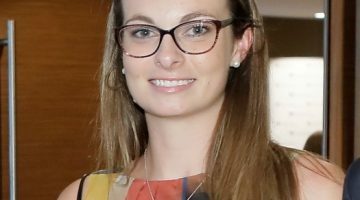 We sat down with her at NAPSA Congress to chat about uni, working with other healthcare professionals, hot topics for students right now and her goals for the future. How far are you into your studies now? I’m doing a double degree – a Bachelor of Pharmacy and a Bachelor of Pharmaceutical Science at the University of South Australia – so that’s five years in total. I’m currently in my fifth year, which is my final year of pharmacy. I finished the pharmaceutical science part of my studies last year, that part of the degree is done. Now it’s just pharmacy, then placements and then onto intern year. What areas of study in pharmacy are you enjoying the most right now? The thing I probably enjoy the most is over-the-counter products, because that’s the thing that patients come in and need the most. It’s usually the referrals to over-the-counter products, so easy hay fever, cold and flu, if they need eyedrops… the simple care things that you can provide. It’s a better way to communicate with the patient because you’re getting more information out of them and you’re giving information back as well. I think that’s what community pharmacy is and how pharmacists should be. That communication so that you can build a good relationship with the patient as well, and it’s probably the same in hospital pharmacy – I haven’t worked there but from when we did placements, you do go through the prescription medications but also any of the over-the-counter medications that the patient may have on them. And so just reiterating what they know, any other questions they have. At the moment do you have an idea on which area of pharmacy you might want to work in? I don’t know just yet because I haven’t been on placements, those are in July for me, but I do work in the community pharmacy so I have that experience. I’ve been working there for two or three years. That’s why I’m more familiar with over-the-counter and counselling. What do you think about pharmacist prescribing and what do most students think about that? It’s a hot topic at the moment. It was discussed at NAPSA Congress this year, it’s also been addressed in our annual National Pharmacy Students Survey (NPSS). We have also partnered with the PSA and just released a survey around pharmacist prescribing and clinical placements. That eventually will gather all the data and see what students’ views are as well as pharmacists’ views. Personally I’m still not sure about it, I’m sitting on the fence at the moment. I reckon we already are technically prescribing, like I said with OTC and stuff like that. It depends on what you define prescribing as. I was talking with a bunch of friends yesterday and we said that it depends what you mean by prescribing, is it a pharmacist prescribing or the doctors’ definition of prescribing, which is two different things. Descheduling of [medicines] that some patients may have been on for long term and have just forgotten a script – if we know that it’s a safe drug – then yes we can continue to prescribe that for them. So statins or something like that. But then if it’s something like antibiotics it would need to be referred onto the doctor because they need to know proper diagnosis and all that. It definitely depends on the situation, if it’s a relatively safe medication and if it’s a regular one then it should be alright, like insulin pens, if they run out of scripts and need the insulin medication for example. At uni, what do you hear about career pathways? Do they give students a lot of information or is it really just ‘community pharmacy versus hospital pharmacy’? In first year of uni, they tell you all the different pathways you can go into. The PSA has got its career pathways document out there as well, so you’ve got not just the community pharmacist or hospital pharmacist, you’ve got GP pharmacists, you’ve got defence force pharmacists, those that work in aged care. We get information from member organisations, it’s a little bit less covered in uni but the peak bodies buddy up and do talks to the students so that we’re very well informed about the different pathways. The other thing that is emerging more is the whole idea of pharmacists in a multidisciplinary healthcare team. That’s also a newer thing that was probably not mentioned too much when I was in first year uni, but that’s something I really want to be involved in, a multidisciplinary team working together with your doctors, your nurses, physios, optometrists, dentists and stuff like that. When you hear that some particular GP or another has come out and said something really controversial [about pharmacists], does that put you off? Do you see positive examples of collaborative healthcare out there? There is a lot out there in the media with some health professions bagging other health professions. It’s kind of sad because that’s not what it is actually like in the workforce. 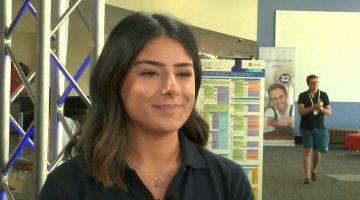 As students it is a little bit disheartening when you see that type of thing, but I reckon we know that’s probably just one situation – because for those that do work in community pharmacy or hospital pharmacy, they do have a tight relationships with the other health professions. You sort of just want to try and patch it up, see if you can change what’s out in the media about that all. With NAPSA we recently signed an MoU agreement with the Australian Medical Students Association (AMSA), so we’re working together to change that image, start early and say we can work together. Recently we came up with our pill testing position statement and we had input from AMSA. They’ve also taken on what we said and they’re shortly putting out a position statement that we contributed to as well. So we’re working with the other health student associations on different policies. Hopefully we can change things. 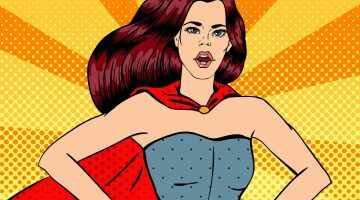 What are the most common hot topics for students at the moment? Off the top of my head, one good improvement that we have seen is about appreciation and recognition of pharmacists as a primary healthcare profession. It used to be that we didn’t get enough recognition but now it’s bumped up. We know that the peak organisation bodies are making our voices as pharmacists heard, and so our recognition is much better than it was 10 years ago. I think increasingly pharmacists are more in the news, more involved. Students are feeling more positive, and now when you say I’m a pharmacy student, people respond positively. It’s great that we can practice to the full scope, especially with all the different professional services that we can provide in the pharmacy including vaccination. What kind of professional services interest you personally? I probably don’t have one at the moment, but I think I would be interested in diabetes [services]. There’s a lot of training around that, and it’s a very common issue so I think I would be interested in that. What are your main goals to achieve with NAPSA as president? We’re building on our communication both internally and externally, so that things can run smoothly because there are 17 branches in total and trying to get in touch with each of them to communicate a certain thing is very hard. This also translates into communicating with our sponsor organisations, so building on that so that we can get projects all done. For example with the PSA, getting our surveys out there to see what student opinions are. The other thing would be to join in on the conversation that is pharmacy. We’ve got our position statements coming out, just making sure that everyone knows that the students are involved, that we do have an opinion, providing that platform for other students as well. And the other thing would be to make sure that we’re building on a handover process so that when we transition into a new term it’s smoother and everyone knows what to do, and especially in contacting sponsors as well, because the handover process is not as smooth as we hope it to be… because we’re students, we’ve still got uni, part-time jobs, it’s hard to juggle. Hopefully after intern year, I would like to join onto the relevant organisations as an early career pharmacist, if the opportunity comes.